MADHESH HUMAN CHAIN is the most ambitious peaceful protest staged by the Madhesi people and supported by the Madhesi Morcha – political parties leading the political protest against the new constitution. 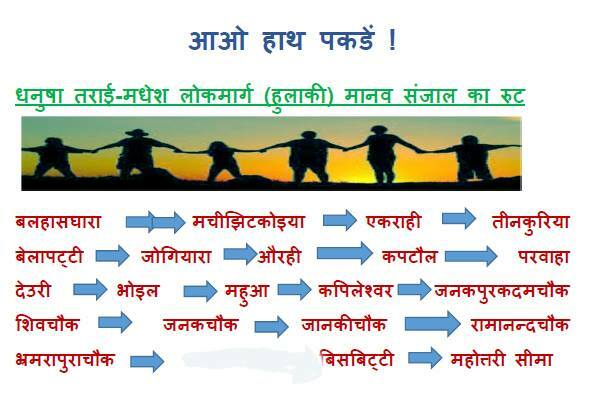 Madhesh Human Chain is an idea to aspire Madhesi people to form a human chain along the new Hulaki Rajmarg, called as Postal Road in the southern Nepal that extends 1155 km. This will be a massive coordinated effort that calls for people living in the southern Nepal to join hands to form the longest human chain ever seen in Nepal on 1st October, 2015 at 1 pm Nepal Standard Time. It is expected that there will be enormous number of people turning out to participate in forming the longest Human Chain. During the process of the fast track promulgation of the constitution of Nepal, diverse people living in the southern Nepal, commonly known as ‘Madhesi’ came on street , after the ruling leaders of three parties – Congress, UML & Maoist, denied to implement the previous agreements adhered in the Interim Constitution of Nepal and promulgated a constitution that cut the progressive agendas for Madhesi people. The protests from Madhesi were not heard, suppressed from the beginning, attempted to brutally quench by indiscriminate killing of people including children, old men, women and youths. Live ammunitions, to control crowds and hence to kill people, were used in contrary to the international and national standards injured hundreds. During the month long protest, more than 44 people were killed including 10 policemen. Government claimed the protesters to be violent while the national and human rights agencies reported severe human rights violations as the police continued to shot protesters with live ammunition directed toward the upper body, specially on head, chest and neck. Thanks to the reports of human right violation, proper statements and pressure from International community including UN, US, India and China has restrained Nepali security forces to use life-endangering means for to control crowds and protesters in Madhesh. Since then, there have been no incidents of killing and death for almost more than a week now. This came as a big shy of relief to the people living amidst the crisis in the southern Nepal. 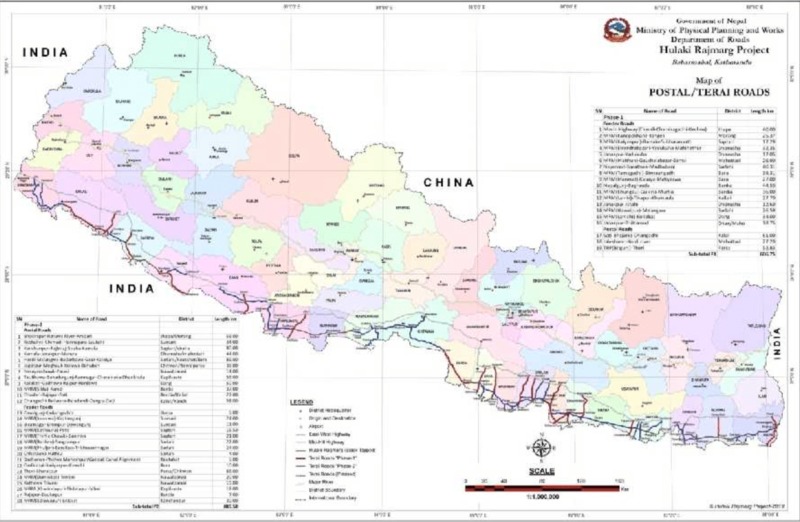 It is quite apparent that there is almost 100 % participation from each house in the southern Nepal, give and take few exceptions. The protests are ongoing for more than 48 days now. The protests were mostly peaceful during this period with few incident of violence erupted as people were killed by the security forces. The peaceful protests used creative methods such as quiet rally, candle rally, road drama, public peaceful disobedience and public halt of businesses. The scale of protests is increasing as each day passes by. The mainstream media in Kathmandu is mostly ignoring the news coverage in Madhesh similar to the deaf ear shown by the Nepal government. Different ways of peaceful dissent by Madhesi people have put pressure to Nepal Government to incorporate the missing clauses in the new constitution left from the Interim Constitution.